American blues and soul-jazz organist. Born 3 April 1936 in Philadelphia, Pennsylvania, USA, died 24 May 2008 in Philadelphia, Pennsylvania, USA. 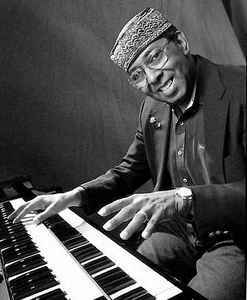 He played piano since the age of 5 but later adopted the Hammond organ. In the mid- and late 1970s he was also often featured on electric piano and other keyboards.